This was a smallish show, only 1200 person capacity. Beck and his band always enjoy those, and tear it up. No puppets tonight, the stage was too small. 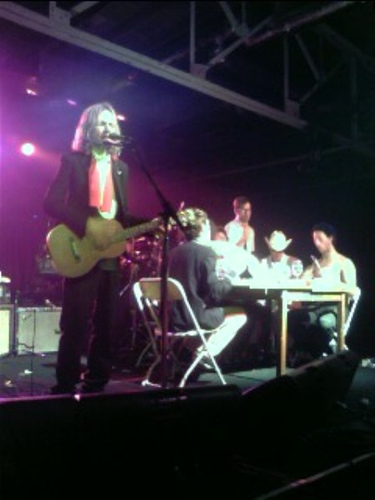 Beck's brother-in-law, Giovanni Ribisi, joined the band on stage. 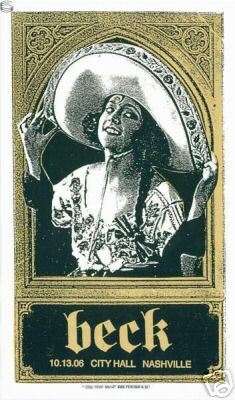 Before "Devils Haircut," Beck announced him as "Randy," saying they found him at a truck stup in El Paso. Reportedly Randy didn't actually play anything... he just pretended. Others who were there weren't so sure, and thought he was playing. Having looked through some photos, he was definitely up there for a few songs at least. This is a pretty wild show, the crowd sounds really into it. 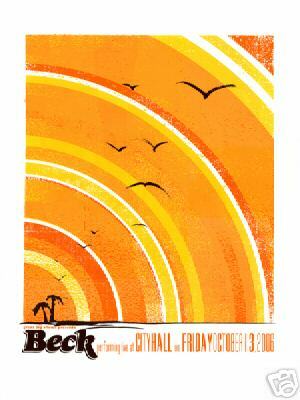 Beck introduces "Cellphone's Dead" by saying "we're going to make up a new version... I have no idea what's going to happen." 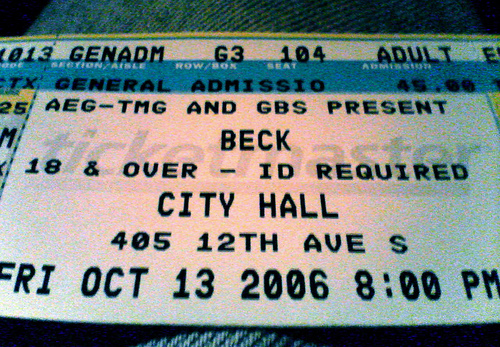 Some high-speed Kraftwerk-y "East German" beats start up, and Beck sings the lyrics over top. Pretty cool! "Motorcade" builds into "Rental Car," a ripping automotive combination. Beck plays Hank Williams' "Lonesome Whistle" since he's in Nashville. "Rowboat" seems to be at a fan's request, though it's a very short take.